A new sexual and physical abuse clinic has commenced operation in the Papua New Guinea capital, Port Moresby. In its first month, Medecins Sans Frontieres' Nine Mile Clinic has treated dozens of abuse victims, giving survivors of family and sexual violence greater access to quality medical and psychosocial care in the capital. 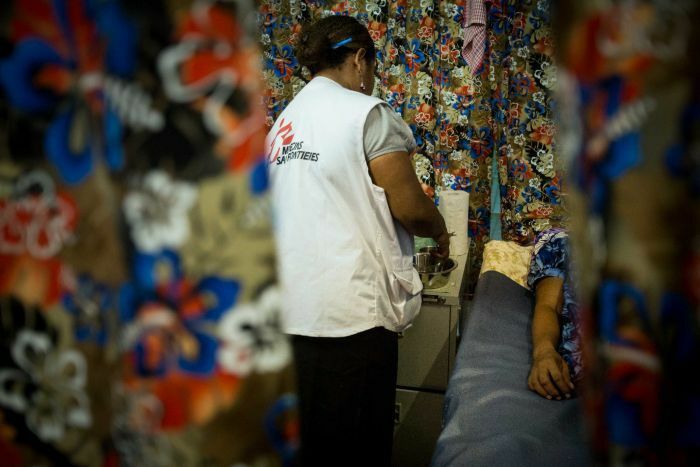 Medecins Sans Frontieres' Head of Mission in Papua New Guinea, Paul Brockman, told Radio Australia's Pacific Beat program it is already a very busy clinic. "In some ways I think it's getting a reputation already as a place that people can go if they've experienced intimate partner violence, family violence or sexual violence." The medical aid charity says it has dealt with more than 13,000 cases of family and sexual violence since beginning operation out of Lae General Hospital in 2007. Mr Brockman says the issue is not just a social problem, as for many victims it is a medical emergency. "We tend to see this as a social problem, a problem for law and justice," he said. "But it's also for each individual person an emerging medical crisis. "There can be severe medical injuries, cuts, bruises, sometimes broken bones. "There's also emergency contraception, which can be provided if a patient comes quickly enough. "So the reason to have care available, close to where people live, is simply that for each individual survivor they need to be addressed rapidly." After six years in Lae, MSF recently handed over the project to the PNG Department of Health. They will continue to support the project remotely, as well as continue their training and outreach work across Papua New Guinea.